Jungle Animals Diaper Cake and Blanket - Take a look at all the photos! 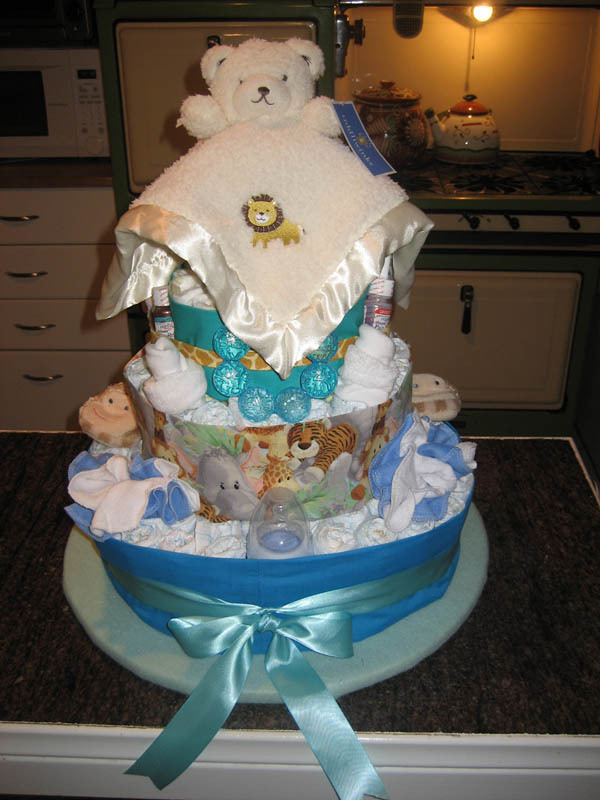 Check out each one of the Jungle Animals Diaper Cake pictures below. 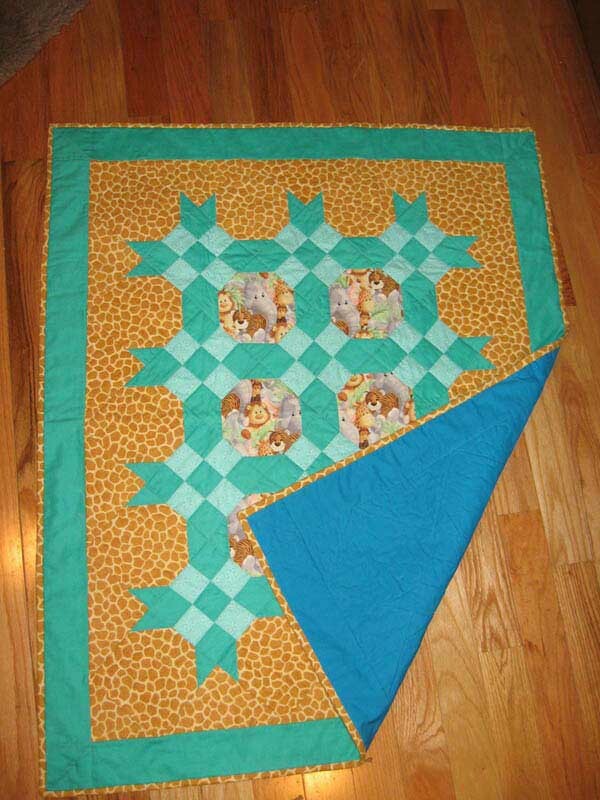 There is also a photo of a matching baby shower blanket! 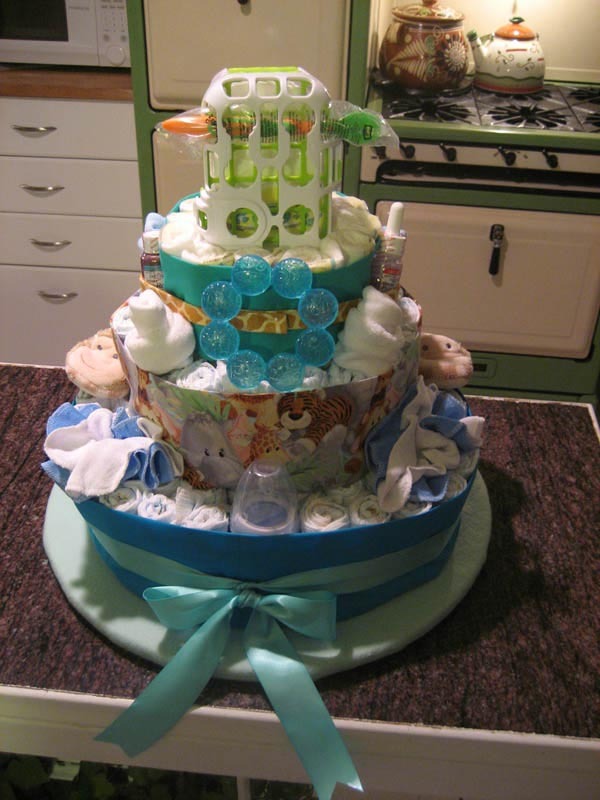 They are both adorable and I am amazed at the effort that our reader took to make the blanket and the diaper cake and then to share her photos with the rest of us!! What a treat! I love the colors and the blanket (see the very bottom picture) is perfectly adorable! Tanya is one of the many wonderful readers of this website who has "paid it forward" by submitting her creative baby shower ideas. Thanks from all of us Tanya! You are making this website a more inspirational and creative resource for the rest of us. Tanya, your ideas are so cute! Thanks a million for sharing! 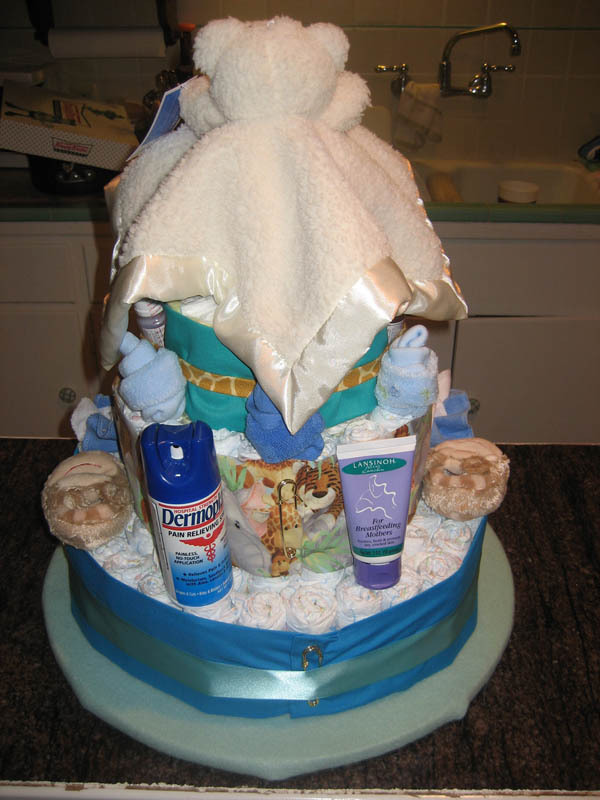 Did Tanya's diaper cake inspire you but don't know where to start to make your own? 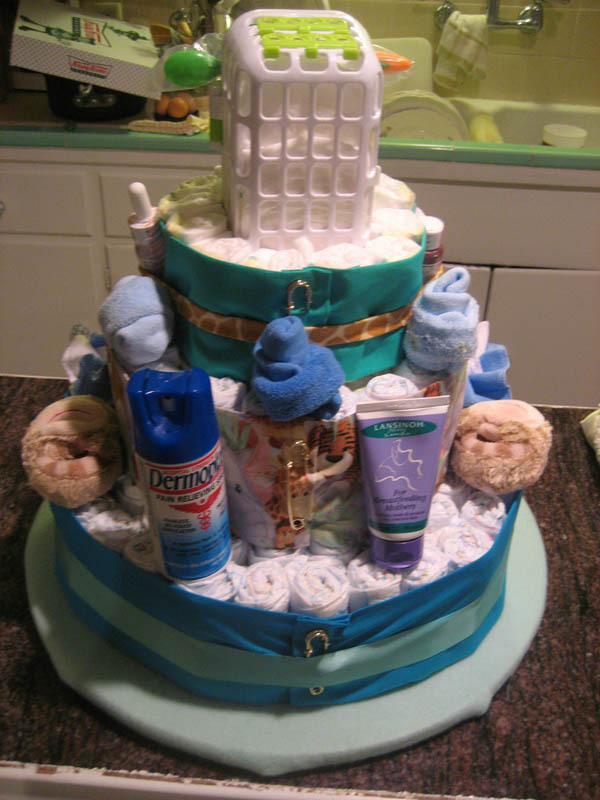 Here are detailed diaper cake instructions that make it easy!